A New York City subway train holds 1,200 people. 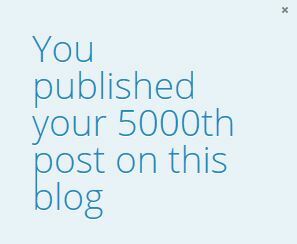 This blog was viewed about 6,900 times in 2013. If it were a NYC subway train, it would take about 6 trips to carry that many people. It’s time once again for the most exciting post of the year!!! Thankfully, I have no shareholders, or else I’d be fired from this blog. Also, this is the 4806th blog post I’ve published (plus or minus a lot via lost data), in 222 categories and 522 tags. -Part VI of my Economic Myths Debunked Debunked series is due up sometime this week. I did not forget. -National Novel Writing Month is on, I’m ‘participating’ in that I’m hoping to get about 30,000 words done on a manuscript I’ve been kicking around for about a year now. Posting may be light[er]. -Read Richard Nixon’s Beyond Peace, his final book, published just after his death in 1994. It was amazing. His views on foriegn policy were nearly prophetic. He warned against a new Russian dictatorship. His predictions about China were dead-on, including the economic influence China would have in the near future. Nixon predicts a credit crisis involving the government’s deficits. And there are some great passages regarding faith, its public role and private necessity. Outside of his views on the drug war and gun control, which comprised about a page or so of the entire book, the whole of the book was outstanding. Nixon creates a framework for what to do in the age of peace. I can’t say enough good things about this book. -Part V of my dystopian series on the future of healthcare should be up on the MassProLife website sometime in the next week. Sweet. And it only took 1230 days, that’s 3 years, 4 months and 13 days, to get there on WordPress (and that is a bit faster than blogger).